It's that time of year again – the time when people travel to the far northern reaches of the world in hopes of seeing the elusive aurora borealis; the Northern Lights. I've been on a couple Northern Lights-seeking missions in the past few years. In Iceland. In Canada. In Arctic Norway. Not all my forays have been successful (I've yet to see them in Iceland despite two separate winter trips there), but I've learned a lot about this phenomenon along the way. And that includes learning all the things that people tell you about seeing the Northern Lights that just aren't true. There are plenty of myths surrounding seeing the Northern Lights, and I'm here to dispel a few of them for you. At the end of 2015, a frantic rumor was circulating around on the internet that the Northern Lights were going to disappear for the next decade or so. Countless news outlets reported that it was your “last chance” to see them for the next ten years. Even a weak showing like this one can still be pretty incredible! So, while it's predicted that the Lights may not be as bright or appear as frequently as they have in the last couple of years until the peak of the next solar cycle (which will be 2024-2026), it absolutely does not mean that you will have to wait until then to see them. Winter is a popular time to see the Northern Lights, but that doesn't actually mean it's the only time of year that you can see them. The aurora borealis is not a seasonal phenomenon; it occurs based on solar particles interacting with the gasses in our atmosphere – and this literally happens year-round. You usually can SEE the Lights best in the winter months simply because those months have more hours of darkness per day, and darkness is one of the necessary conditions for seeing the aurora. Looking for more Northern Lights content? The best conditions for seeing the Northern Lights include a few key factors: Mainly dark skies without any clouds. And, usually, the less light pollution in the sky, the better. This leads many people to profess that you won't see the aurora if the moon is shining brightly. While it's true that a full moon can dim the Lights a bit, it certainly doesn't negate your chances of seeing them entirely. Super-bright moon, and yet we still could see the Lights. In fact, one of the best Northers Lights shows I've seen yet was on a night that included a bright almost-full moon in Norway. 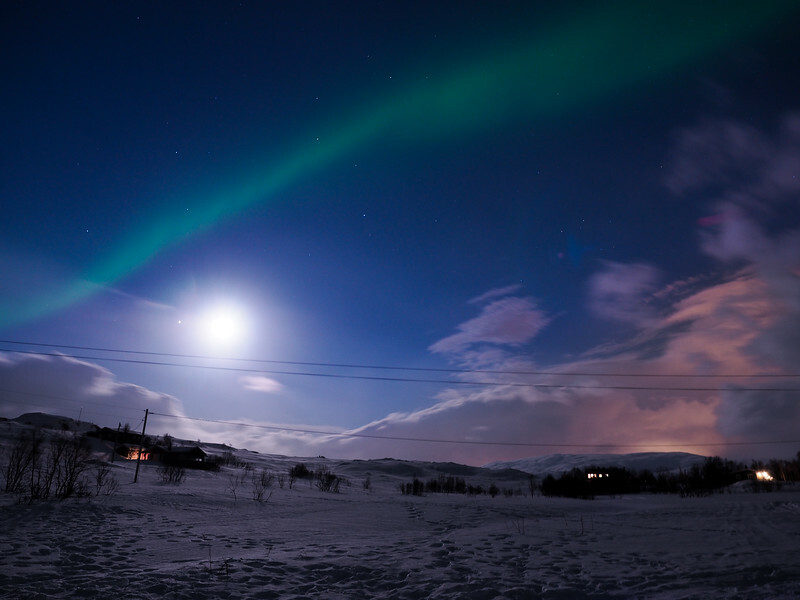 Most amazing Northern Lights – with a nearly-full moon shining. 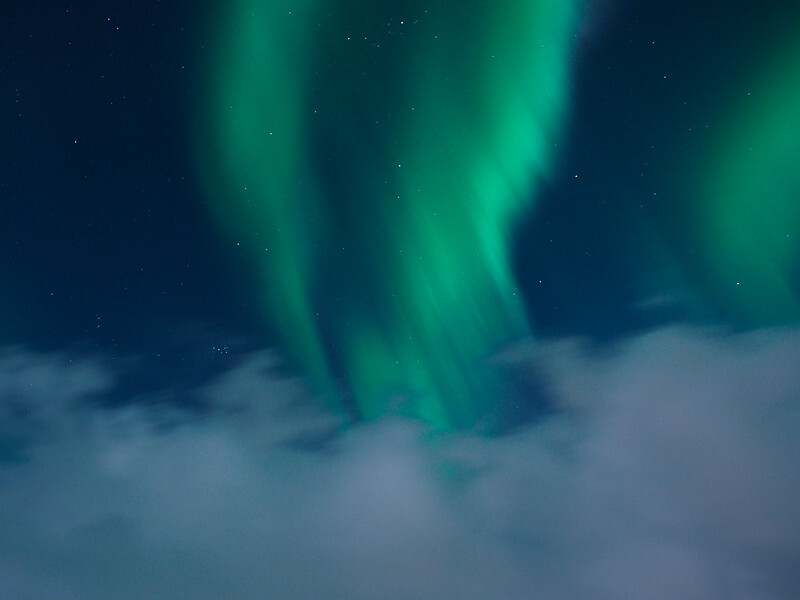 Along a similar vein, many people assume that since aurora “conditions” require clear, dark skies, this means that clear, dark skies will always produce a Northern Lights show. I wish I could say this was true, but it unfortunately isn't. Sky conditions have nothing to do with the aurora borealis (remember, the Lights are caused by solar particles interacting with elements in our atmosphere). The chemical reaction that happens up there in the sky happens regardless of cloud cover – we just can't see it happening when it's too cloudy. Look at all that amazingness happening behind the clouds! I've seen the Northern Lights on cloudy nights AND clear nights – and I've also failed to see them on both cloudy nights and clear nights. You'll of course always have a better chance of seeing them if the skies are clear, but don't always count on it! A clear, dark night with no aurora (yet). A lot of independent travelers turn their noses up at guided tours, insisting that doing their own thing always leads to better experiences. While this may be true in many cases, I really don't think it applies when it comes to the Northern Lights. In order to see and truly appreciate this natural wonder, you really need to be with someone who knows a bit about “chasing” the Lights. Someone who can puzzle out the weather forecast, read the KP index, and understand when you should stay put and when you should move on to a different location in hopes of catching a Lights show. Plus, guides generally have friends who are also guides, and many of them talk when out hunting the aurora. Which means that if there's a good sighting elsewhere, chances are your guide will hear about it (and then hopefully take you there). 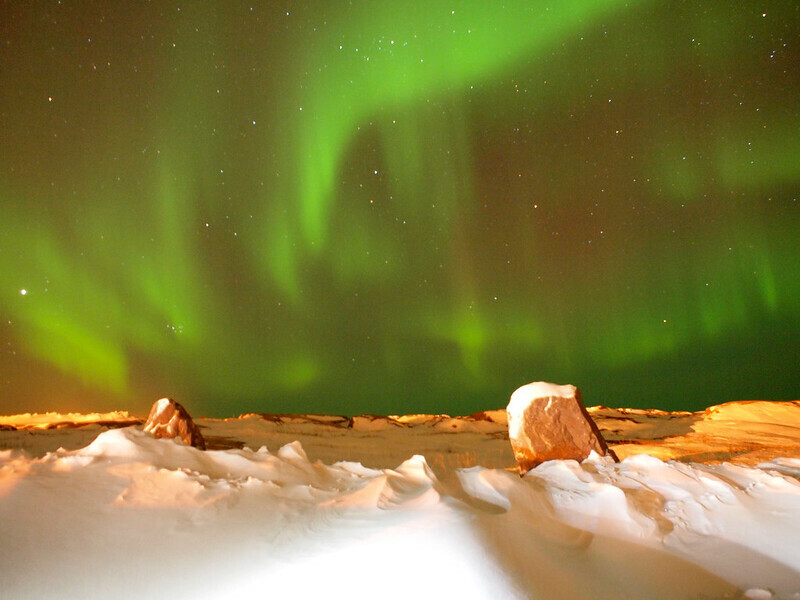 I would not have caught this glimpse of Northern Lights without a guide – it was literally in the middle of nowhere! 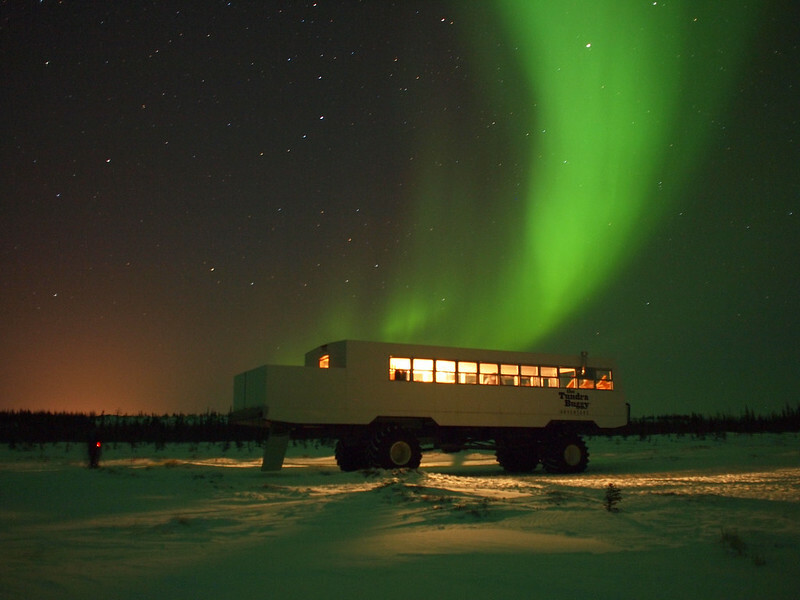 I'm not saying that you CAN'T go Northern Lights chasing on your own – of course you can. But if you want the best chance of seeing them (and want to learn a bit more about them, and potentially even get some photography tips), I highly recommend booking a guided tour. My tour recommendation comes with a caveat, though: just because tours are running on a particular night in no way guarantees an aurora sighting. Most companies will cancel tours if the weather forecast looks terrible (i.e. completely cloudy skies with little chance of a break), but they can never guarantee a sighting in good weather (natural, scientific phenomenon, remember?). The Kp-index (officially the Planetary K-index) is essentially the closest thing to a Northern Lights forecast that we have. It measures geomagnetic storm strength on a scale of 0 to 9, and the numbers correspond to the strength (and brightness) of any possible aurora. The higher the Kp-index number, the better the chance of a good aurora show. The KP-index was high this night – this was taken right under some streetlamps! But, as with any type of forecasting, you don't want to rely completely on the Kp-index. You might get an amazing showing on a night when the Kp-index is only supposed to be at a 2, and you may get nothing on a night when the Kp-index is at a 4 or 5. If you have the option of going Northern Lights chasing on a night with a Kp-index of 7 vs. another night with a Kp-index of 1, I'd definitely go with the 7. But that doesn't mean you have no chance of seeing them when the index is at a 1 or 2, either, especially if the skies are clear. If the aurora is strong enough, you WILL be able to see it with your naked eye with no question about what you're looking at. But when the aurora is weaker, it's sometimes tricky to differentiate between wispy clouds and the Northern Lights. A good camera, however, can pick up a lot more light and color than our human eyeballs can at night. This is why you do really want a good camera with you if you're going to be chasing the Northern Lights. I could only see this green streak thanks to my camera – to the naked eye, it just looked like a slightly off-color wisp of cloud. A “good camera” doesn't need to be super expensive, though. Ideally, it needs to be one with a manual mode so you can set your shutter speed (how fast a photo is taken) and aperture (how much light is let in) on your own. A slow shutter speed (anywhere from 5 to 30 seconds) and small aperture (the lower the number, the better) are what you're going for – and you'll want a tripod to put your camera on in order to avoid camera shake. I've shot the Northern Lights with an Olympus PEN E-P2 and an Olympus OM-D E-M5 Mark II, and got photos I was happy with both times. Hopefully if you've made it to this part of the post, you'll already know that this isn't true. 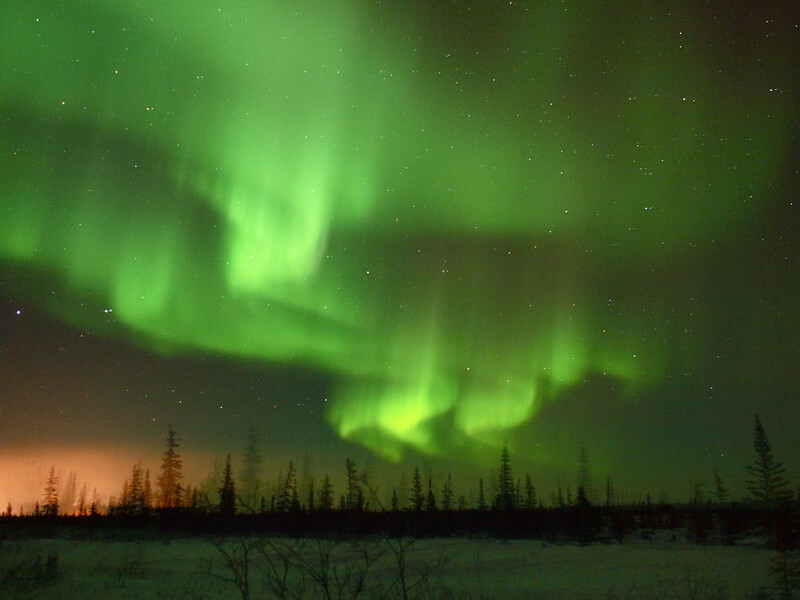 So many factors go into a Northern Lights “show,” and no two nights are ever the same. One night you may get an amazing, strong, and long showing of the aurora, while the next you may get nothing more than a dark sky. Some nights you'll be able to see greens and reds with the naked eye, while other nights you'll struggle to see any color at all. It's amazing when you get to see two colors at once, but certainly isn't guaranteed. There's no guarantee that the Northern Lights you see will look anything like all those amazing photos you've seen online – but I would still recommend going, because there's of course never any telling what you WILL see! Once will never, ever be enough. Once you've caught that aurora borealis bug, prepare to always want more. I've been out with people who have been Lights-chasing for decades, and they're always still so excited when that first hint of green dances across the sky. The Northern Lights may not *actually* be magical, but they certainly can work like magic on people who see them. 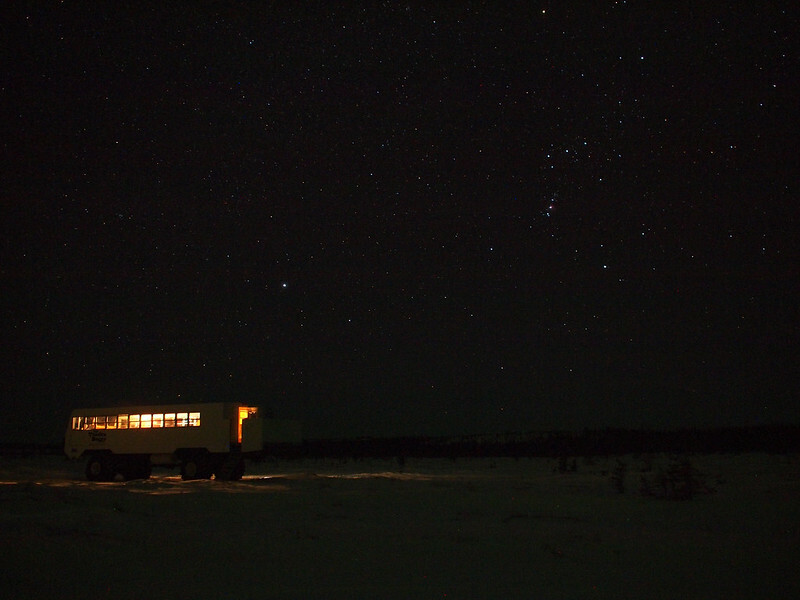 Looking for packing suggestions for a Northern Lights-chasing trip? 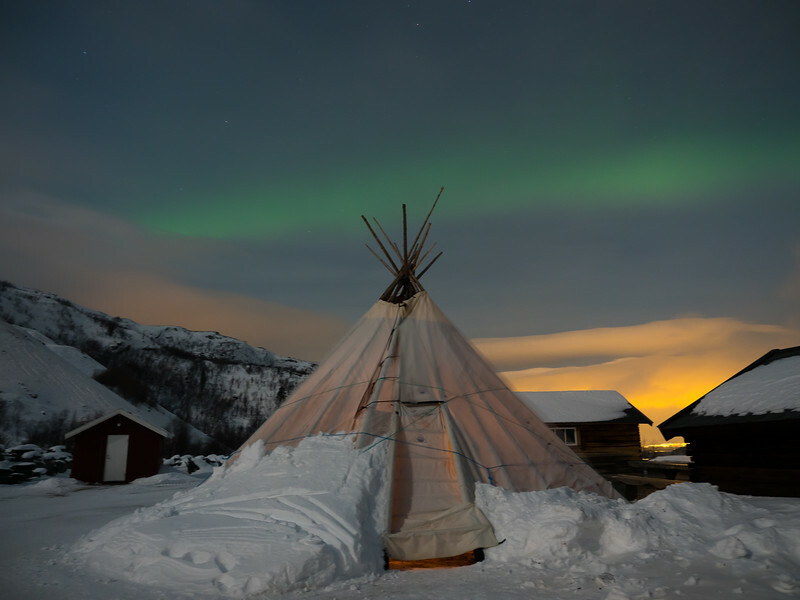 Head over to my Northern Norway packing list to get some ideas for winter must-haves. 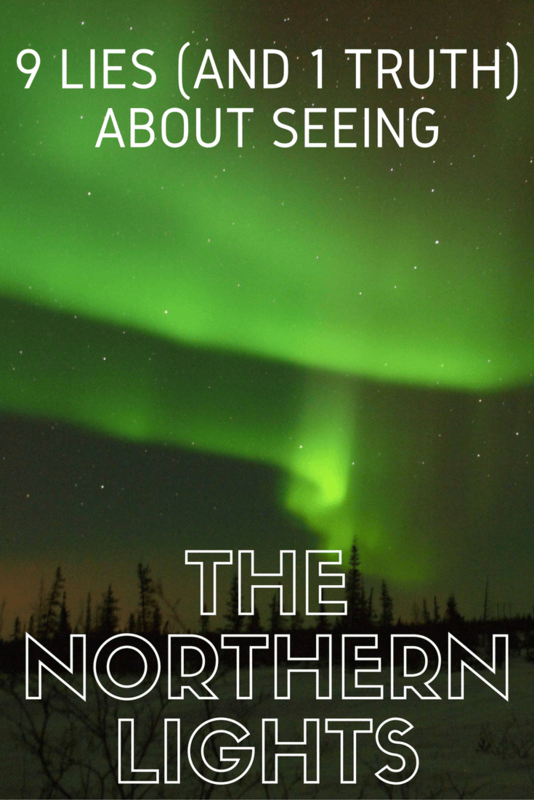 Pick up a Northern Lights travel guide to help you plan your trip. Along with a camera you can set to manual mode, you'll need a tripod, a shutter release, and probably some extra batteries! Is seeing the Northern Lights on your bucket list? Or have you seen them yourself and discovered any of the “lies” on this list? Northern Canada and Alaska are great for spotting, them, too, but so far Northern Norway has had the best weather for aurora-chasing – they don’t get those bitingly cold winters because of the coastline! 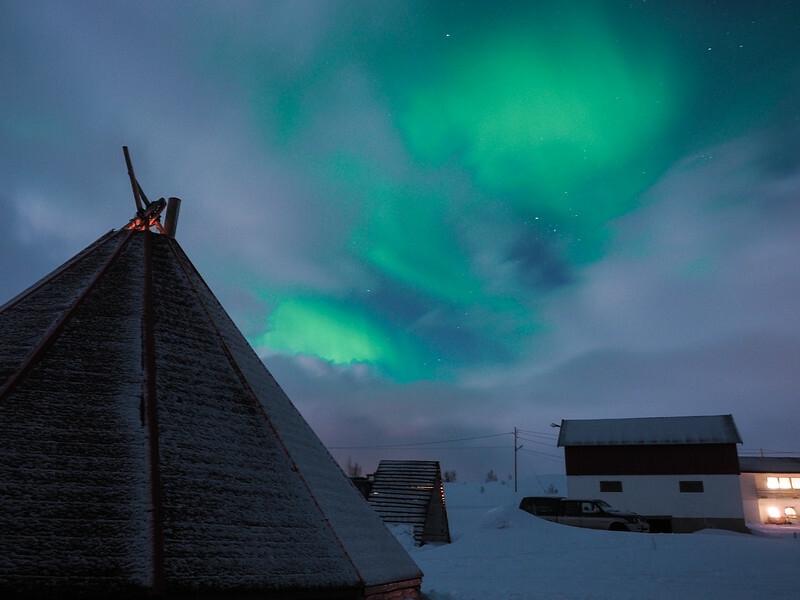 I saw them three nights in a row in Abisko, at the STK hotel and the ski station known as the ‘Aurora Sky’. You are so right about how the cameras (even monitors) exaggerate the lights. I was looking at the lights – looked like a wedge, and shortly after a whitish arc in the sky; at the same instant a japonese tourist was taking a photo of very same thing: an absolute intense greenish ameba hovering in the sky. I’ve heard great things about Abisko! Would love to go Northern Lights-spotting there. Thanks for the info! I’m heading to Norway and Iceland next week (!!) and this is all good to know. Fingers crossed that we see some northern lights! A good tip is to notify the person at the front desk that is working overnight to give you a wakeup call if they see the lights. You may get a call at 2AM. We’ve seen them in Iceland and Norway. WAY COOL. Hope for the best. Yes it is, and sadly they’ve always evaded me as I’ve been to the Arctic and Iceland a few times but always in summer or early fall (=no lights). Love this post—so fun and helpful! It’s a great bucket-list item! Hopefully you’ll get to check it off soon. Great post! Luckily I wasn’t surprised by any of your false facts! I’m going to Iceland in mid-November and I’m keeping my fingers crossed that both the Northern Lights and the Ice Caves won’t elude me! Fingers crossed indeed! I didn’t quite get the ice caves experience I was hoping for last year, but it was still an amazing trip! I have always wanted to see the northern lights! It is definitely on my bucket list 🙂 Great article! It’s a great bucket list item! Seeing Northern lights are way up on my bucket list, I simply have to see it for myself.. And thanks especially for the camera advice! Wonder if my Canon G7 X is going to cut it.. If your camera has a manual mode (i.e. you can set the shutter speed yourself), then it actually might be fine! Digital cameras have come such a long way in recent years! Your photos are amazing! It’s kind of funny because I’ve just been travelling for 18 months seeing incredible things, I even went to Iceland a couple of years ago and didn’t catch the northern lights. And I’ve come home to northern Scotland to wind down for a bit – and I saw the northern lights within two days of getting home!! It’s hard to believe such a phenomenon is on my doorstep, there’s a local Facebook group dedicated to aurora sightings and photos and some of the pictures people post are just phenomenal. I agree, ignore all the “you won’t see them for the next x number of years” because they still seem to be as strong as ever! Ahhh I would love to see them in Scotland!! Lucky you that you were able to catch them! So jealous of these photos! The Northern Lights elude me – I seem to have just missed them on my last two trips to the Upper Peninsula in Michigan. Of course, in the summer, I have trouble staying awake long enough past dark! I follow the Great Lakes Aurora Hunters on Facebook – members post some really great shots from Minnesota, Wisconsin and Michigan. It would be great to see them in the US, but really good sighting are so rare this far south! One of my favorite (unplanned) sightings was at the Holmen Husky Lodge in Alta, Norway. 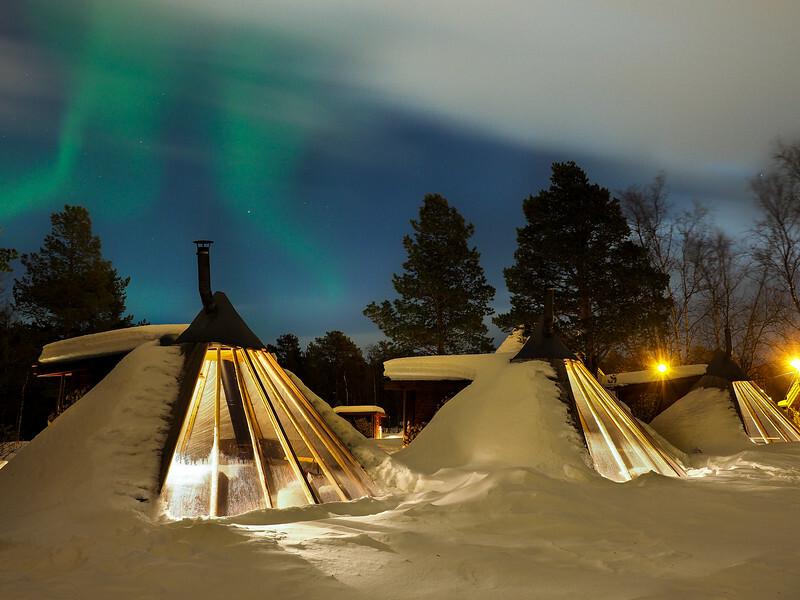 We went dogsledding at night, and stayed overnight in these really cool lavvo tents (though these were made from glass and wood). You couldn’t see the Lights from the tents themselves, but we did catch a glimpse of them above the tents – it’s one of my favorite photos! And yes… once is never enough with the Northern Lights! Yes! Seeing the Northern Lights are on my bucket list! I’d say they definitely deserve a spot on that list! I have never seen the Northern Lights, despite living in Northern Canada and having friends and family members see them many times. I REALLY want to go to Churchill to see them, but it is so expensive to get out there. Hopefully I get to go sometime soon! Yeah, Churchill is not an easy place to get to! Have you looked into taking the train? I’m not sure how much cheaper it is, but it would certainly be an experience! Haha. I hope you get to see the Lights soon! These pictures are amazing–great job! I, too, missed out on the Lights during my trip to Iceland. You’ve seen some really good ones–kudos! I’ve been very lucky to see them in other parts of the world – but I still dream of seeing them in Iceland some day, too! We’ve seen only once in Iceland and it is true that you just cant have enough of it) And indeed sharing this experience via pictures or videos is extremely challening due to shooting conditions/camera constraints. Congratulations on your pics, really nice! Thanks Denis! I think chasing the Northern Lights will be something I’ll always want to do – I can’t imagine ever getting bored of it! Yes, I’m definitely lucky to have seen them so many times! This is on my bucket list! We’re visiting Scandinavia in a couple months, I hope we get to see them! I hope you get to see them, too, Rachel! Thanks for clearing up misconceptions about the Northern Lights. 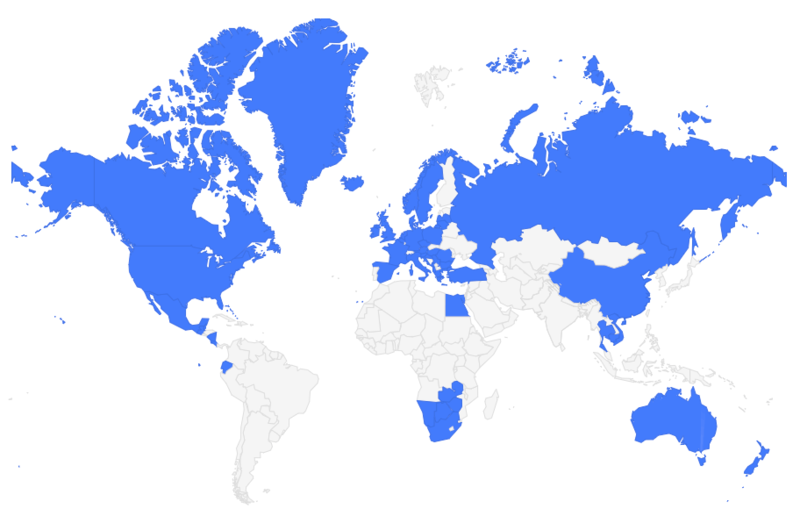 I’m most eager to go to Iceland because of the lights. The things you’ve written down here are very useful for me and I’ll sure to tote a camera with me so I can capture and see those lights (if I happen to be lucky) over and over again! Aww thanks, Marie! I still think I can take even better ones, though! Great post! I think I have heard all of these :). 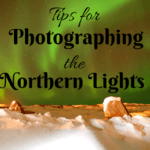 A further benefit of a tour is that the guides can be quite knowledgeable about how to photograph the northern lights and will be able to help you capture them with your camera. Yes, that’s very true, too! They can usually help you get the settings right on your camera and sometimes will even help you set up shots (or take photos OF you with the Lights in the background, which is a great souvenir to take home!). Such a funny article Amanda, but sooooo true! I haven’t yet seen the Northern Lights (at least I don’t think so), but I really want to! p.s. Lovely photographs as usual. I’ve seen them a few times now, but I always want more! No, it is not dangerous to watch them. 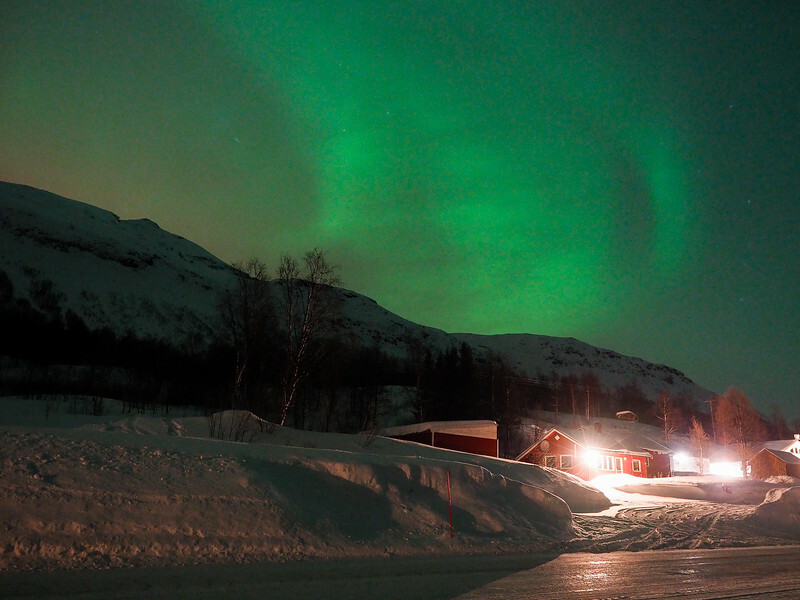 I’m going next February (very early in the month) to Sweden (Abisko, Jukkasjarvi) and Norway (Tromso) to see the lights. I hope you see some great displays! I figured that longer I stay up north, and the closer to the Arctic Circle, the higher my chances in seeing the Aurora. I also realized one town is not enough, so I selected the three towns (Abisko, Jukkasjarvi, Tromso) for two nights each to maximize the possibility of seeing this once in a lifetime views at least once. A nice article and amazing pictures! 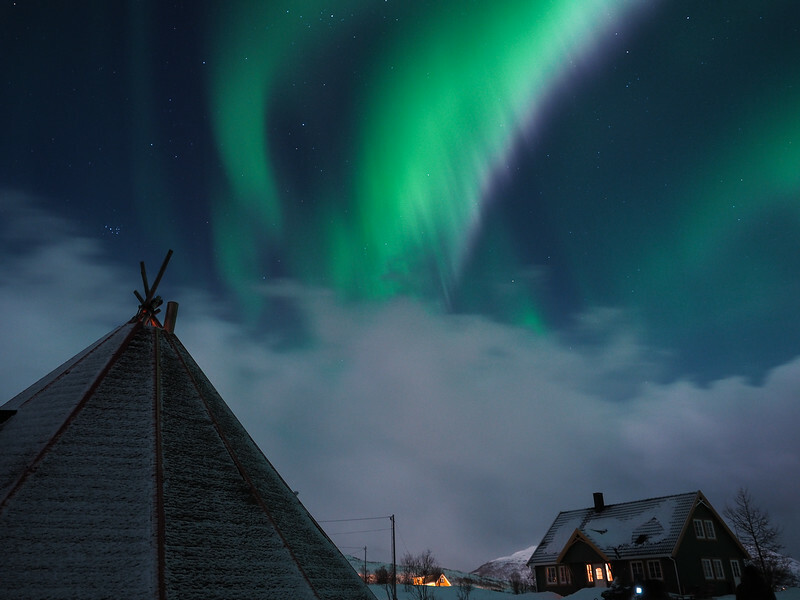 I’m off to Tromso in January to catch the Aurora for first time. Fingers crossed!! Fingers crossed indeed – I hope you get to see them! I saw them in October 2015, in Reykjavik. They were so bright that we could see them in the parking lot of our hostel! Purple, green, and white, and they looked just like a documentary. I cried. Definitely a sight I’ll never forget. Seeing a “show” like that is always so magical! 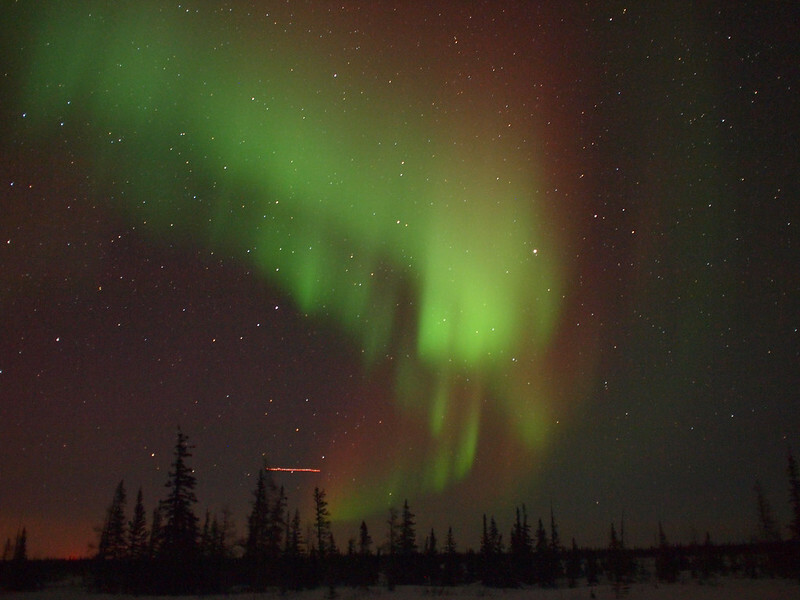 I have been to Alaska with the main goal of seeing the Northern Lights. I missed them twice. The reception desk at the hotel told us to put our names in her book if we wanted to be called if the lights showed that night. She failed to call anyone. Now we are taking a viking cruise to Norway in Feb 2020 with the hope of seeing the lights. I’m hoping we are successful. Thank you for all your advise. I hope you’re able to see them, Fran! They can be so fickle, though. But I’m sure your cruise will be amazing either way!